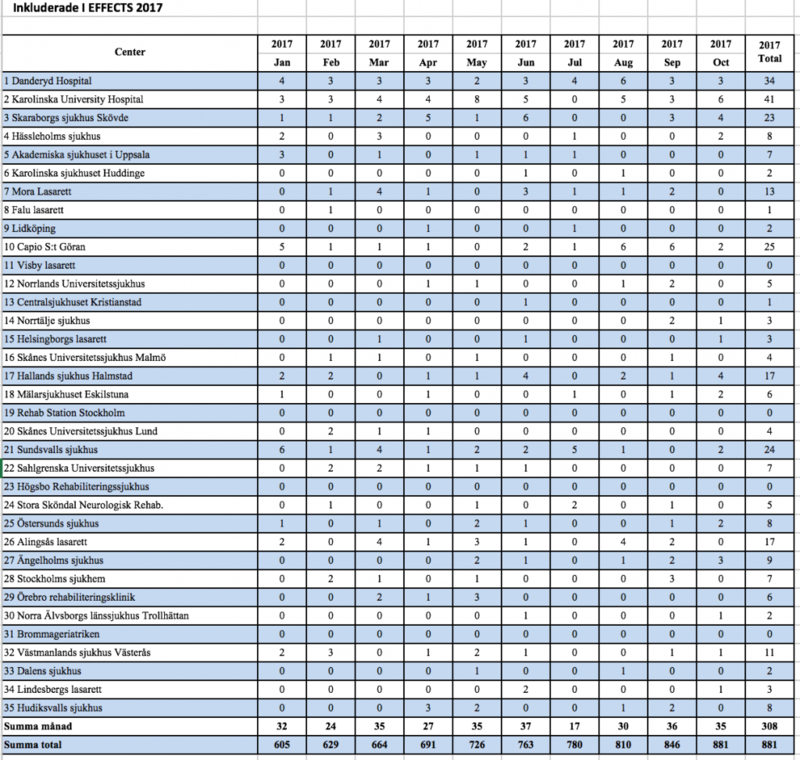 We are currently recruiting subjects from 33 centres in Sweden, see Table below. We have closed Högsbo and Visby due to a lack of principal investigators. The average recruitment has been 30 pat/months during the last 10 months. We now aim to include 35 patients per months. Figure 1 illustrates the inclusion in EFFECTS per month. The blue line represents the included patients (Results). 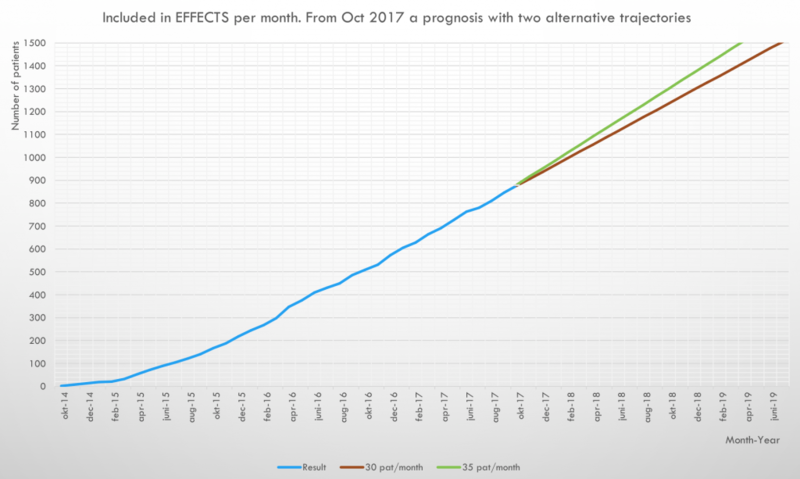 The brown line is a prognosis with 30 pat/month and the green line denotes 35 pat/month. Figure 2 below illustrates some of the important milestones for EFFECTS. This is how we want to achieve our goals. Publications: Our preliminary plan is to present the main results at the European Stroke Organization Congress (ESOC) World Stroke Conference (WSC). In 2020 these two congresses will be merged into one in Vienna, Austria. EFFECTS has received substantial economic support, totalling 36 006 500 SEK. 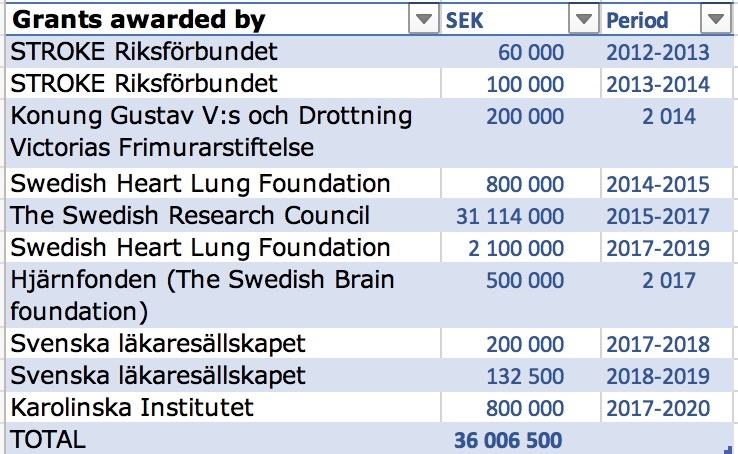 The Swedish Research Council (Vetenskapsrådet, VR) has granted us 31 114 000 SEK, the largest ever grant from VR for a clinical study in Sweden. We currently have tenancies of VR funds up to the end of 2020, meaning that EFFECTS has stable finances.